Does your nose direct attention away from the rest of your face, overshadowing your bright eyes or glowing smile? Or maybe the size or shape of your nose is out of balance with the rest of your features. Dr. Anna Petropoulos is a board-certified facial plastic surgeon who understands that an attractive face depends on harmony between all of your features including the forehead, eyes, and chin. 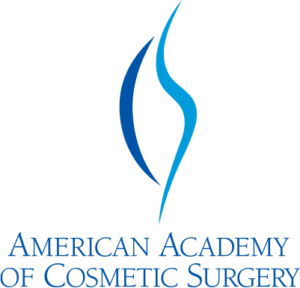 Rhinoplasty patients from Boston, Cambridge, and throughout Massachusetts, choose this procedure to reshape the nose for a natural and pleasing proportion. Dr. Petropoulos is more than a board-certified facial plastic surgeon; she is also a board-certified otolaryngologist (head and neck surgeon) with specialized training in the anatomy and treatment of the nose, ears, and throat. She possesses the eye of a classical sculptor, which complements her surgical skill, precision, and experience to give her patients facial harmony. Let Boston facial plastic surgeon Anna Petropoulos reveal the nose you were meant to have by bringing natural beauty to your face. A popular procedure, rhinoplasty (also known as a “nose job”) is one of the most complicated plastic surgery procedures to perform. Dr. Petropoulos uses her specialized training, refined skill and precision, and artistic eye to improve the form while maintaining proper breathing. 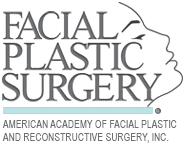 This procedure is appropriate for women, men, and youths of all ages, once their facial development is complete. If you are ready to discover what nose surgery can do for you, request a consultation online with Dr. Petropoulos or call her at 978-739-9500. She serves patients from surrounding communities such as Boston, Peabody, and Beverly, MA, throughout New England, and around the globe. What is the value of having a nose that you like to see every morning when you look in the mirror? That’s the value of nose surgery with Dr. Petropoulos, who has extensive experience with this delicate procedure. Most of our patients opt to have nose surgery for cosmetic reasons, but Dr. Petropoulos also uses this surgery to correct the nose after a prior injury or to improve function. The nose has a prominent bump on the bridge. The nostrils are overly flared and open. The nose doesn’t seem proportional with the rest of the face. The nose is simply too big or too small. The nose is too flat or wide. Injury — Maybe you hit your nose while playing a sport, maybe there was that party in college… Regardless, you didn’t have the damage fixed at the time and now your nose is crooked. Breathing problems — Many people have congenital defects with the inner workings of their nose. The passages may be too narrow, or somehow partially blocked. In extreme forms, these defects can lead to sleep apnea. 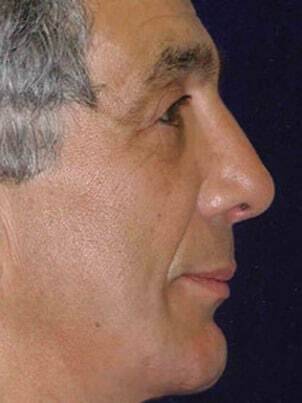 It is important to note, however, that nose surgery cannot be done until the nose is finished growing. In girls, this usually occurs by age 15 or 16. In boys, the age is 17 or 18. What can a Nose Job help Improve? In addition to her impressive aesthetic results, Dr. Petropoulos attracts many patients for her specialized training as an otolaryngologist. She surgically treats snoring and restores free breathing to her patients who are impaired by congenital defects or injury. If a patient has impaired breathing after trauma, frequently health insurance may cover a portion of the fee. 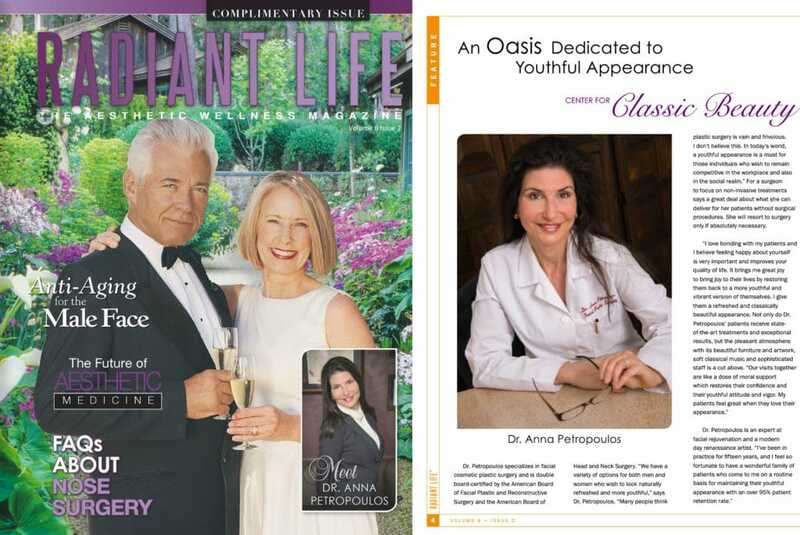 As reported in the national beauty magazine New You, Dr. Petropoulos’ refined aesthetic eye and sense of balance consistently achieve a refined look that is naturally beautiful, yet still fitting with a patient’s background or ethnicity. 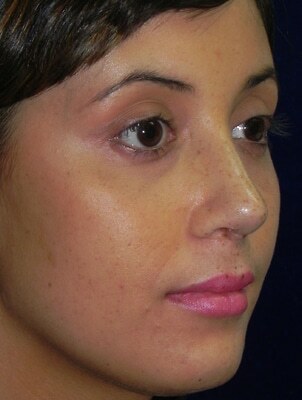 Before considering rhinoplasty, together with her patients, she performs computerized imaging to best determine optimal nasal contours. 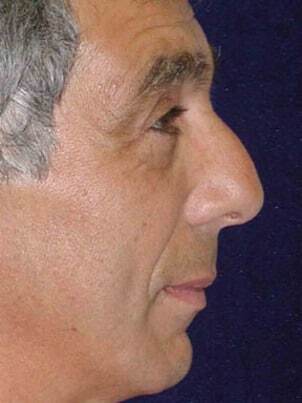 Dr. Petropoulos understands that ideally the nose and chin should balance each other and that the facial profile can be further improved by subtle chin enhancement. To see the impressive changes she has made through nose surgery, view before and after photos of some of her patients online. Dr. Petropoulos performs nose surgery as an outpatient procedure that takes approximately 2 hours to complete. 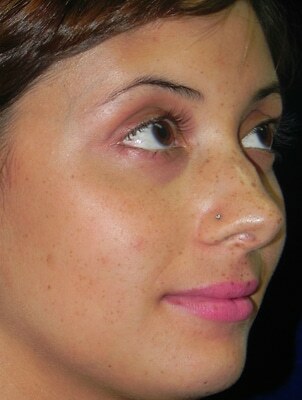 In most cases she uses tiny incisions concealed inside the nose so there are no noticeable scars. She carefully adjusts the underlying support structures of the nose to provide a more refined shape. Patients usually return home the day of surgery. Dr. Petropoulos often refines both the appearance and the function of the nose simultaneously in many of these surgeries. This is the perfect time to have functional improvements as needed. Rhinoplasty can often be combined with other procedures both surgical and non-surgical, such as chin liposuction or chin CoolSculpting, or with a blepharoplasty if there is droopy eyelid skin. Some people don’t want to have surgery; others would like to “demo” a new nose. Dr. Petropoulos can make changes to a patient’s nose through the use of dermal fillers such as Restylane and Juvederm. While she cannot make the nose smaller, she can use fillers to change certain dimensions. For instance, fillers can change the shape of the tip or the bridge in some cases. Plus, since these fillers can be neutralized by the simple injection of an enzyme, if you don’t like what you see it is easy to reverse it. Dermal fillers allow a patient to see if they like changing their nose, to the degree possible, without having permanent surgery. 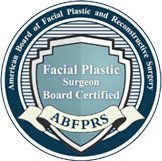 Only allow a Bard Certified Plastic or Facial Plastic Surgeon to perform this since they have the necessary prerequisite knowledge and training to minimize any possible risks and to have a successful outcome. After rhinoplasty, your nose may feel somewhat stuffy for about a week. Pain is typically minimal after nose surgery because Dr. Petropoulos does not use intranasal packing. During the first week after surgery, you will have a plastic splint on your nose. It will be helpful to keep your head elevated while sleeping to minimize the swelling. Usually, by the end of the first week patients look presentable and are ready to return to work. Your improved profile will be gradually revealed as the swelling subsides over the weeks after surgery. How soon can I return to my normal activities after rhinoplasty? This depends on you. You might have minimal bruising and minimal swelling on the nose. This swelling can return at times, usually in the evening, for up to a few months. You can return to light exercise after 2 weeks, although any exercise or activity where you can bump your nose needs to be completely avoided. Strenuous exercise needs to wait for up to six weeks, as this raises blood pressure to the face. Are there risks involved with Nose Surgery? 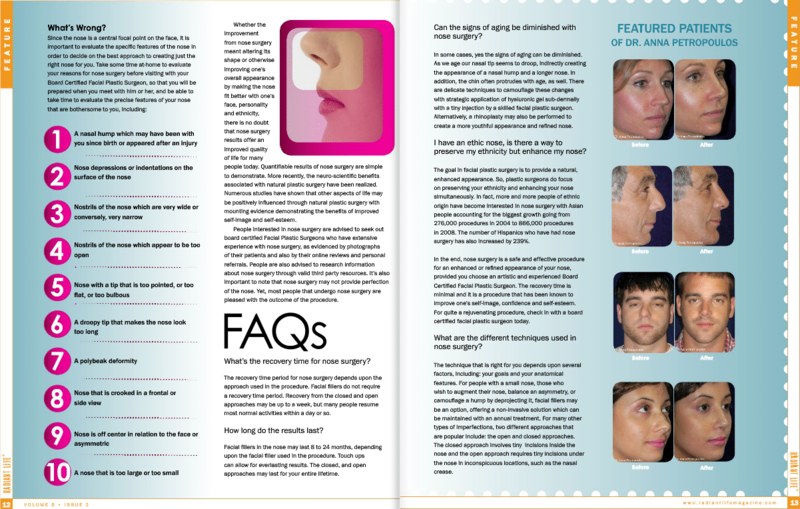 Nose surgery is very common and it has been performed for a long time. Still, it is surgery and it carries certain risks with it. There are the risks involved with any surgery: such as infection, or bleeding, reaction to anesthesia, and poor healing. In the vast majority of these surgeries, Dr. Petropoulos’s patients are happy to have a nose they finally like seeing in the mirror. 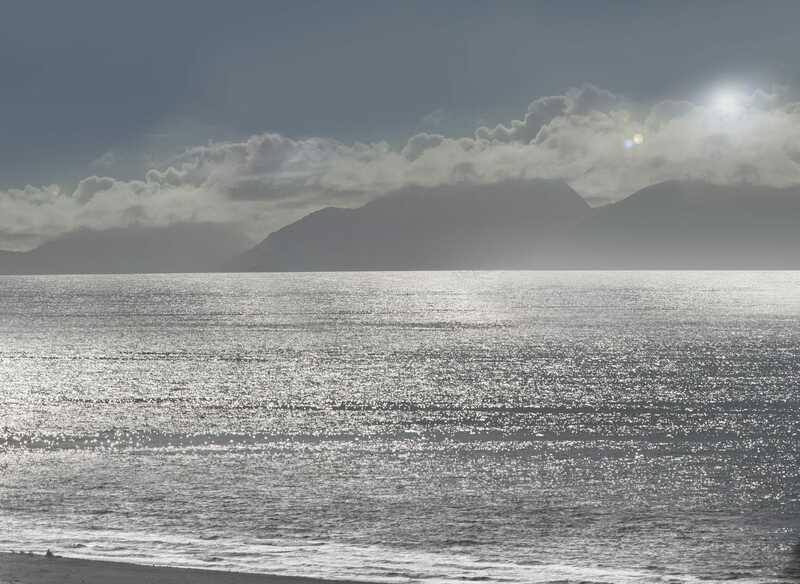 The procedure carries very low risk, with a high degree of satisfaction. 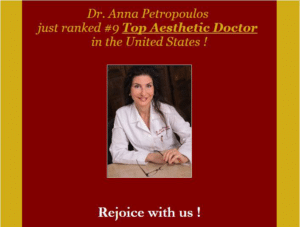 Dr. Petropoulos brings joy and confidence to her patients with facial cosmetic surgery. Nose surgery patients are usually impressed with how attractive they look and feel after refining this one facial feature. 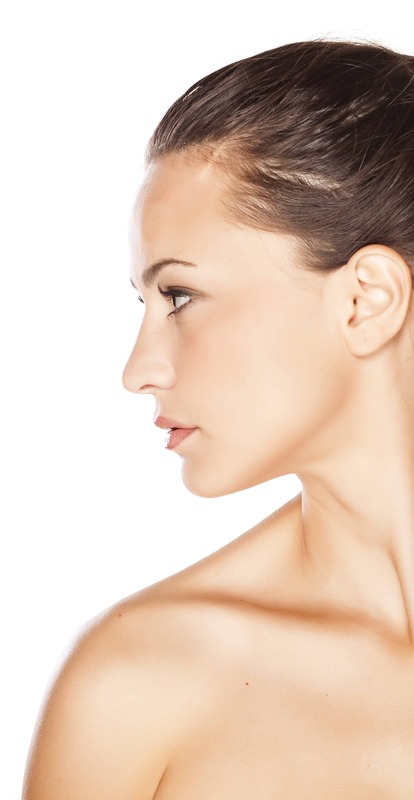 If you feel like Rhinoplasty is right for you, call 978-739-9500 today to schedule a consultation!